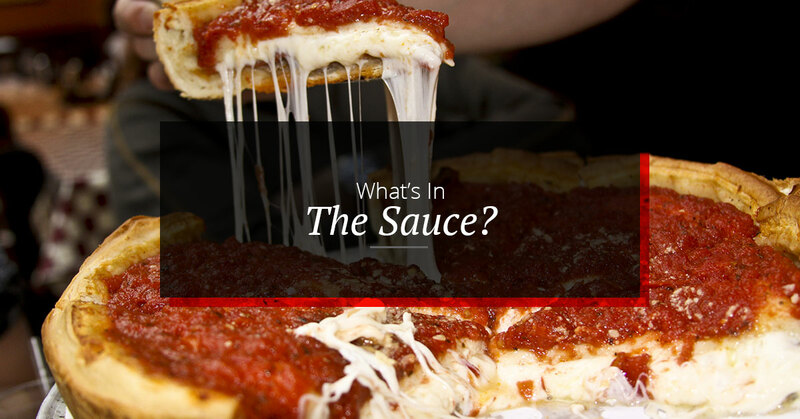 Pizza in Santa Fe: What’s In The Sauce? All of this talk about pizza toppings and what to drink with the pie, but what is the one ingredient that makes pizza, pizza? The sauce! 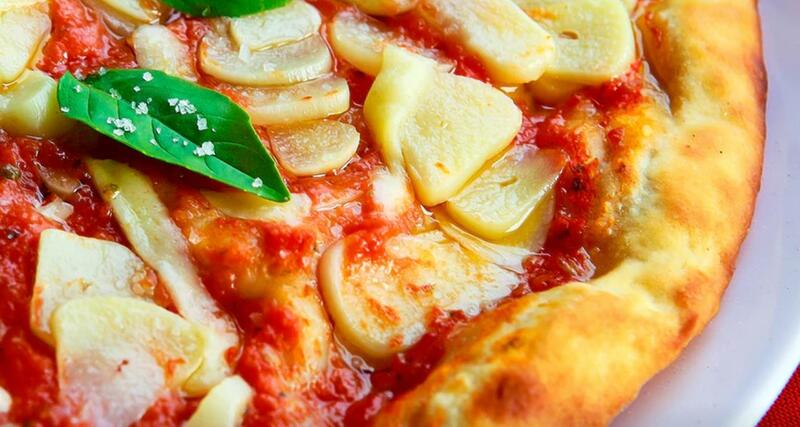 Each craft pizza restaurant has their own unique style, flavors, and ingredients, but overall, there are a few things that a good sauce must have. 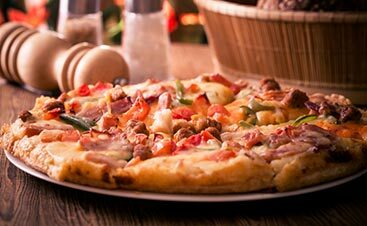 If you haven’t yet experienced the pizza sauce at Upper Crust Pizza, head over today to check out our lunch specials or come by tonight for happy hour and order up a crusty meal that satisfy your deepest pizza cravings. A base for many sauces is a type of olive oil, extra-virgin or otherwise. When you have a great olive oil, you’re on your way to an amazing sauce that has depth of flavor and complexity. Start by finely chopping up some onion and heating up a pan. Mix in the oil and we’ll discuss seasonings and tomatoes soon. If you’re not opposed to using butter, we hope you’re not, melt in some butter with the onion and olive oil mixture to add an extra layer of flavor and the sauce will be smooth and delicious. There’s much debate over whether to use fresh herbs or if you can get away with the dried, bottled version. Some will never budge on this, but it can depend on the herb you intend to use. The compounds of oregano, rosemary, bay leaf, thyme, and sage allow the herbs to keep the flavor throughout the drying process. When you add these ingredients to the heat, it will bring out the flavors. Basil, on the other hand, should always be used fresh. Stick with a few herbs to make sure that the sauce it’s too complicated, add a good amount of fresh, chopped garlic, and you’ll have a restaurant-ready pizza sauce. Tomatoes, unlike some herbs, actually are better when they come from a can. These tomatoes were harvested at the end of their regular season, ensuring that their flavor is as rich and full as possible. If you try using fresh tomatoes during the winter, they will be flavorless and the texture just won’t be the same. When finding the right type of tomato, there are a few options. Whole, Peeled: This type is either packed in a tomato puree or tomato juice. Choose the kind packed in tomato juice to ensure that there is as little processing of the tomatoes as possible. Diced: These are commonly peeled as well, but roughly diced and packed in a puree or juice. If you can, find a brand that doesn’t have any calcium chloride, which helps the tomato dices to hold their shape, but also affects the way they break down in the sauce. Crushed: This might seem like a natural choice to make a pizza sauce out of, but there may be little consistency from brand to brand. Puree: A very basic tomato product, it can be hard to get the flavor back into the sauce. There is also tomato paste, but is rarely used for pizza sauces. Of all of these options, a whole tomato packed in juice gives you the most freedom when it comes to adding your own flavors. 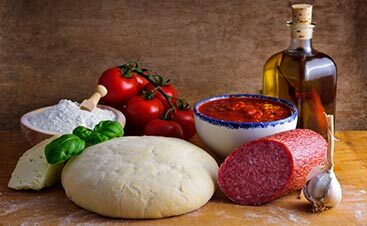 An average pizza sauce usually falls somewhere in the shadows of the toppings and texture of the pizza crust, but a great sauce is what brings all of these flavors together and creates a unique experience for your taste buds. 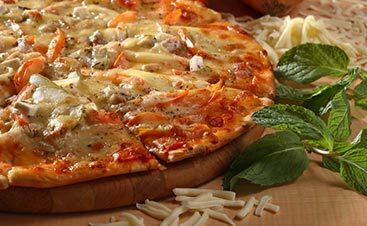 The combination of garlic, herbs, fat, and tomatoes is what makes pizza, pizza.